The ISO 17021-1:2015 contains principles and requirements for the competence, consistency and impartiality of bodies providing audit and certification of all types of management systems. It is revised in June 2015 and applying to certifying bodies that covering quality, environment and other management systems accreditation. 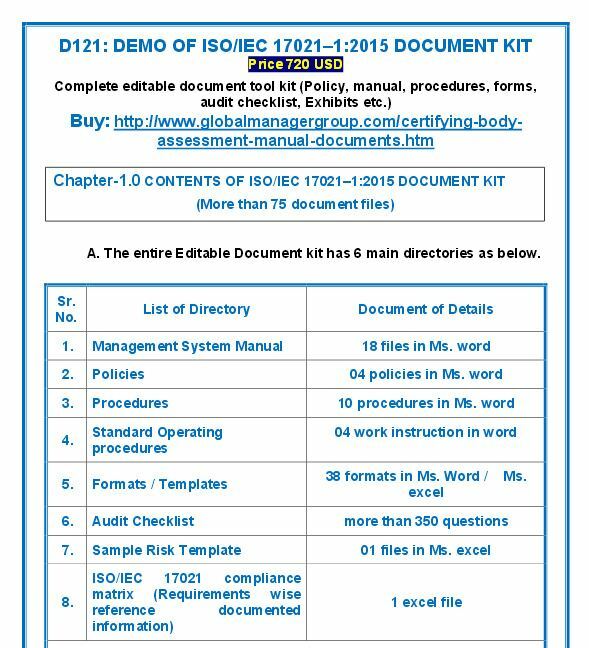 Global Manager Group, the leading Ready to use System Documentation and Training kits selling company has re-launched product D121: Certifying Body Documentation Kit for ISO 17021-2015, which covers manual, procedures, sample formats, SOPs, risk templates & audit checklist etc, key requirements of Conformity Assessment of certifying bodies as per ISO/IEC 17021-2015 standard. GMG’s consulting team has reported that they have designed total ISO 17021:2015 documents for conformity assessment of certifying body which are globally used by various clients. Sample Risk Templates to define risk area for the organization. 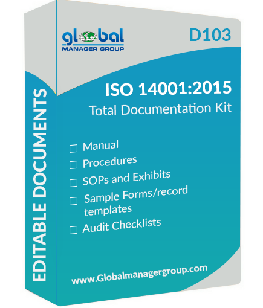 The details of each section can be view in free DEMO of the product which can download at website www.globalmanagergroup.com and users can purchase full documentation kit at very compatible cost of just USD 720. It is completely user compatible as documents are in word format, so user can easily edit any template as per their requirements within no time.